Facebook has started a new feature to enable easy sharing of activity status updates. 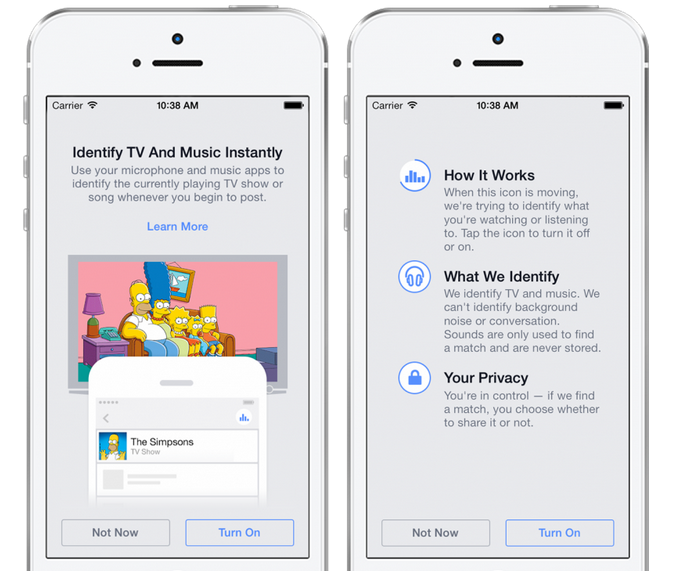 With the help of your phone's microphone, you can enable Facebook to listen and identify what song or TV show you are watching. 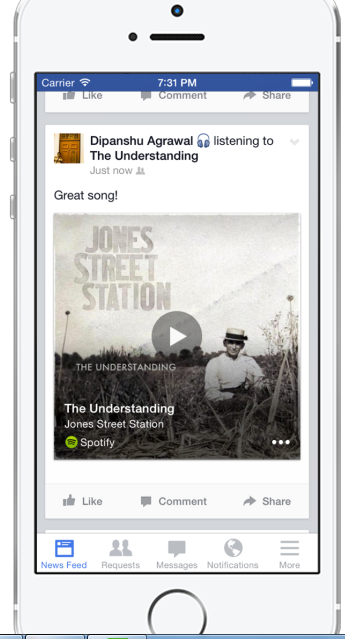 Facebook can then allow you to choose the detected music or TV show and allow you to post it as a status update. This feature is completely optional and Facebook does not listens to your conversations so you don't have to worry about that. If you turn the feature on, you’ll see an audio icon moving on the screen. If the feature finds a match, it will display the available matches and you can then choose to add the song, TV show or movie to your post. If you share songs then a 30 second preview of the song would be visible in your feed and for TV shows, the story in News Feed will highlight the specific season and episode. Under technical terms, when you write a status update, the app converts any sound into an audio fingerprint on your phone. This fingerprint is then sent to Facebook's servers in order to match it against the pre stored database of audio and TV fingerprints. This feature is set to become available on Android and iOS in the US in the coming weeks.